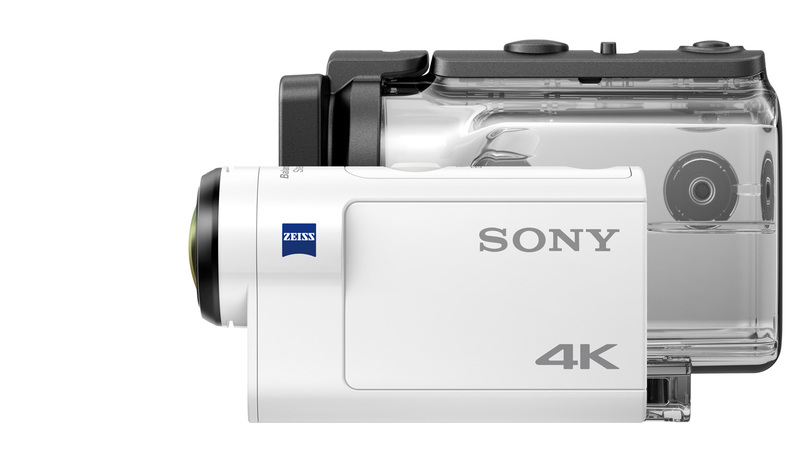 Sony released a new Action camera today, the Sony FDR-X3000R is their new top-of-the-range product, which comes with optical image stabilisation! They adopted their Balanced Optical SteadyShot technology (BOSS), found in some of Sony’s handicam models, which works by moving the entire optical path rather than individual elements. It is supposed to achieve better anti shake results. The camera features a 8,2 MP Sony sensor – 1/2.5 type (7.20mm) back-illuminated “Exmor R” CMOS Sensor. 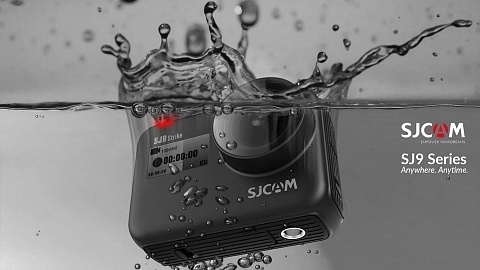 Don’t get irritated by the small sensor, compared to other Action Cameras. 8,2 MP equals 4K resolution, therefore the image doesn’t have to be binned (scaled down), which allows for a full pixel readout. Another plus of this sensor is its great low light sensitivity. The BIONZ X image processor enables 4K recording up to 100 Mbps. According to Sony BIONZ X enables more natural details, more realistic images, richer tonal gradations and lower noise whether you’re shooting photos or movies. Zeiss Tessar f/2.8 lens is adjustable in-camera to f=17 mm, f=23 mm and f=32 mm for Wide, Medium and Narrow settings respectively. 4K – (3840 x 2160) – at 30p/25p/24p (100Mbps). Recordings up to 1080p 60fps in .mp4, above in XAVC S.
It offers 12 MP resolution, so I guess the photos will be upscaled. Time-lapse photos & burst mode offer 8,2 MP. 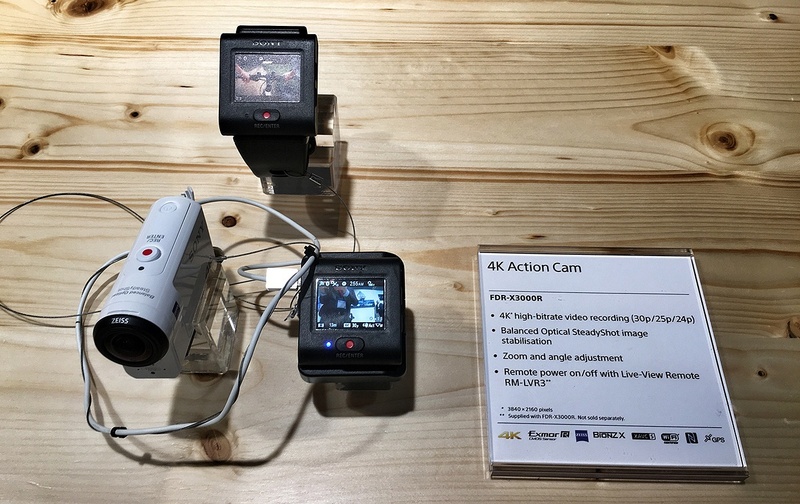 In the camera itself holds just a small data display, similar to their previous flagship camera (FDR-X1000) there is a live view remote, which is wearable on a hand wrist, or can be attached to the back of the camera. The remote control works with up to 5 cameras simultaneously! The Live-View Remote is included! The removable NP-BX1 battery has a capacity of 1240 mAh. Memory Stick Micro™ and Micro SD/SDHC/SDXC compatible. Sony FDR-3000R is equipped with Bluetooth and wifi. Not sure if the remote works with NFC, like the FDR-X1000R, it’s not on the list. You can of course connect with a smartphone app (iOS & Android). and a Stereo jack for mic input! Optical image stabilization: As mentioned in the beginning, the entire optical path is moving rather than individual elements. Not electronic stabilization like most other action cameras, which will show much better results. The image stabilization also works in 4K recording, compared to other cameras which don’t. Live View Remote Control (included!) which controls up to 5 cameras simultaneously. Adjustable field of view (FOV) “Wide”, “Medium” or “Narrow” and additionally seamlessly adjustable zoom mode which enables you to change zooming while shooting. 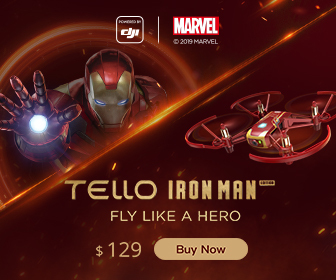 Weight: 114 g (including supplied battery), 4.1 oz. In contrast to the previous model the underwater case is now included, as well as the live view remote control including wrist band. Mounts are sold separately; the camera has a 1/4″ standard photo thread at the bottom. The Sony FDR-X3000R is not just the best Sony Action Camera to date, it probably is the best action camera available. It might be a bit larger than comparable cameras, but holds everything needed for a professional production. Take the 3,5mm mic jack or standard tripod mount for example. They are not highlighted features, but help so convenient in every situation. The professional aspect is of course 100 Mbps video recording, optical image stabilization and the live view remote. No need to connect with your phone all the time, it can be attached to the camera, tripod, simply everywhere to check the current framing. And you can control up to 5 cameras with one remote. Great to see that you don’t have to purchase all accessories you need separately. 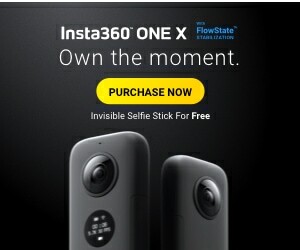 Not only the underwater case, but also the live view remote are included. Mounts can be purchased separately, but you can always use the 1/4″ screw found on other photo and video gear. Sure the Sony FDR-X3000R sets new standards. The quality and brand has its price, but think about the included gear. Let’s see which answer from GoPro will follow in the next weeks. 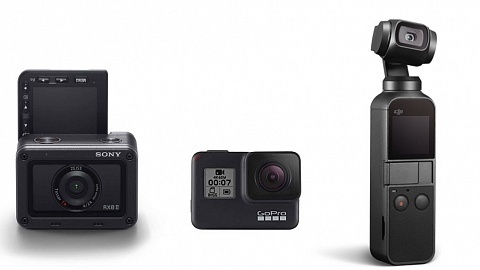 Some specs already leaked, read my GoPro Hero 5 post. 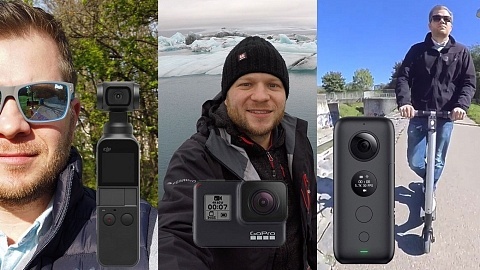 OlderV3 Sport Camera – the cheapest Action Cam?